Ok, not entirely relevant to the review but when news broke that Sarah Borges had returned to the studio and was bringing her new record to the UK, visions of her singing while standing on the bar during the last trip came flooding back. While not an act of drunken mayhem, it epitomized the energy of her show and the good news is that Sarah has lost none of her passion during this gap of a couple of years. A split from her backing band The Broken Singles led to this enforced hiatus but Sarah has dusted herself down and RADIO SWEETHEART is a blistering revival record which rocks more than rolls in the truest sense. Renewed faith in Sarah was bestowed upon her by Kentucky based Lonesome Day Records and it is with fellow label artists Girls Guns and Glory that the UK return is arranged including a visit to the scene of the bar singing episode in Nottingham. The initial jolt to get the record in motion was a successful crowd fundraising activity and teaming up with producer Steve Berlin of Los Lobos fame. Sarah’s writing is featured heavily across the ten tracks with only Lloyd Price’s ‘Heavy Dreams’ being a cover. This track is one of the rockier moments on the record which is prominently defined by Sarah’s ability to sync the Holy Grail trinity of soaring guitars, gut wrenching vocals and a reminder that music is highly palatable with a strong melody. Hailing from Massachusetts, an area historically swarming with indie rock bands, Sarah very much draws her influence from the new wave sound of the early 80s which today seems to have merged into the alt-country/Americana scene. The stand out track has autobiographical potential in its title at least and ‘Start Again’ showcases Sarah at her best and harnessing the energy of her musical stimulation. This record is almost made to bypass radio and go straight to the stage such is the feel of the production which succinctly catches the emotion that only a live performance can deliver. There is no finer example of this than Sarah’s introduction to the storming album closer ‘Record on Repeat’ possessing everything a young person needs to free themselves from the world of saccharine pop and explore the excitement of adult oriented rock. Listeners of more advanced years will get flashbacks during this track. ‘Girl with a Bow’ opens proceedings with the unmistakable vocals of Sarah already bridging the years since her last release. This is followed by the title track ‘Radio Sweetheart’ which sees Sarah take her foot off the accelerator a little with a slight reduction in the album’s temperature and intensity. ‘Big Bright Sun’ is probably a better attempt to portray a more refined sound, although Sarah equally excels at adding a blues tinge to ‘Think What You’ve Done’. She probably digs deeper into her heart and soul, both lyrically and emotionally for this track which is immediately followed by the harmonica laced ‘Mind on Me’. ‘Hands and Knees’ is a mid-album track struggling to punch its weight among the meatier tunes, although ‘The Waiting and the Worry’ has no such issues with once again a fantastic melody attaching itself to a driving beat, all carefully crafted by Sarah and her band of talented musicians. 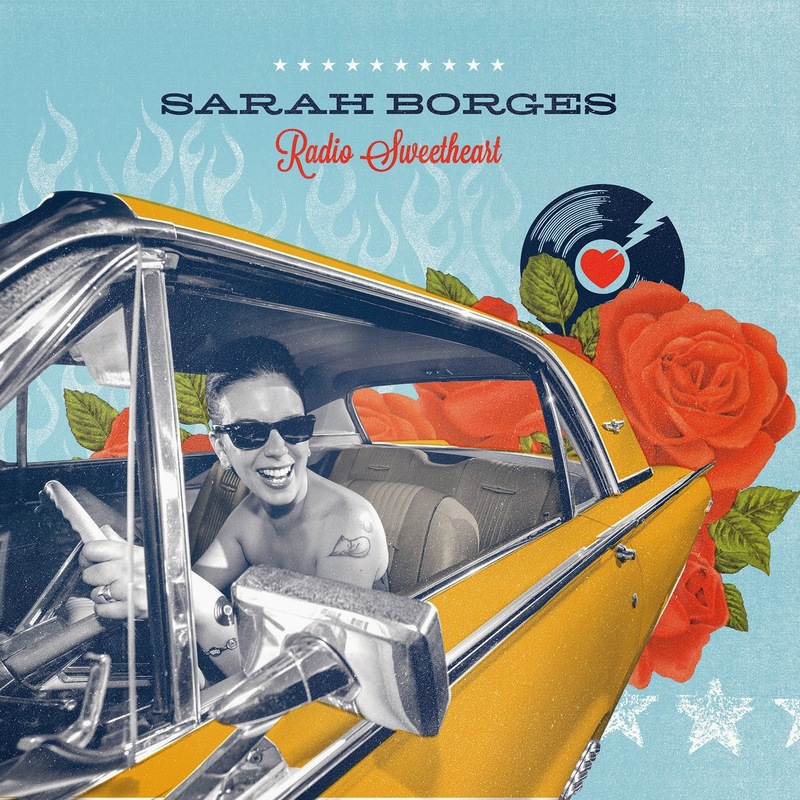 The world of female artists pushing their male counterparts to the limit in pursuit of an exciting brand of guitar driven alt-country Americana rock is stronger with the release of RADIO SWEETHEART. Of course supporting this record is imperative but is surely a tantalising taster to listening to it live. Whether performing on a stage, on a bar or in the studio, Sarah Borges has announced her return in fine style.